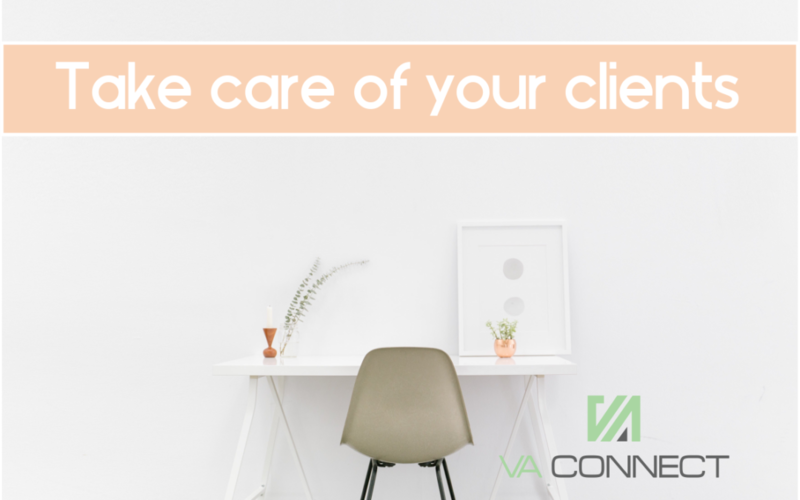 If there’s one thing I’ve learned in my ten years of being a Virtual Assistant and with running a Virtual Assistant agency, it’s this – take care of your current clients. Did you know that it takes far more effort to find new clients than to keep the ones you have? Treasure your current client base as if they were gold. Go out of your way to keep them happy and to ensure that they sing your praises wherever they go. It’s really tough to market yourself and your business, and a lot of time and energy goes into getting the attention of a prospective new client before eventually converting them into a paying client. So what is the best way to keep your current clients happy for them to keep coming back? Somewhere along the line you’re going to stuff up with your client. It could be in a small way or (hopefully not!) something bigger! But never fear, if your on boarding was smooth sailing and it was a great experience for the client to take you on as a Virtual Assistant, then rest assured, should there be any hiccups it will be overshadowed by the way you made them feel when you on boarded them. Find ways where it’s not painful for you nor your client to pay you, so that doesn’t become a headache for either party. Take the time to really hone your Virtual Assistant skills and that of your team. Make sure that the services you offer align with that of your client’s and that you can offer additional services that he or she never even thought of. What I’m saying is, take the initiative on behalf of your client and offer to provide services that will make their life easier and free up even more time. This could be anything from acknowledging your clients birthday with a gift voucher or meeting them in person for a coffee once a quarter. Yes, we offer virtual services, however, when it is possible, a client really does appreciate that in-person touch. Stay in touch with your clients. If you are a solopreneur then chances are you’ll be in touch daily with your clients. Remember to check in with them that everything is okay. If you run a Virtual Assistant agency diarise a quarterly check in with each client and always ask how you can better or improve your service. We are always learning to improve our services and who better to show us than our current clients. As with anything life it takes time, energy and focus to achieve success as a Virtual Assistant. If you look at other business owners and wish to be like them, know that their success come with a lot of hard graft and plenty of sacrifices. Take the time to really take care of your clients and your business, and the results will speak for themselves! About the Author : Karen Wessels is the Founder of VA Connect, Africa’s largest and most successful Virtual Assistant Agency. They have been perfecting their craft since 2008 and boast a client base that runs from San Francisco to Singapore, the UK, Australia and a few other countries in between.